Date February 18, 2015 . Date April 29, 2013 . Date July 11, 2012 . Date June 20, 2012 . Date June 7, 2012 . Date March 5, 2012 . Date January 25, 2012 . Date April 6, 2011 . Date March 25, 2010 . Wednesday, 18th February 2015 – There are significant job creation, export, commercial and educational opportunities to be opened up for Ireland’s indigenous music industry if the right support structures can be put in place. This is according to a new report produced by Deloitte and commissioned by the Irish Music Rights Organisation (IMRO) on behalf of the Irish music industry. 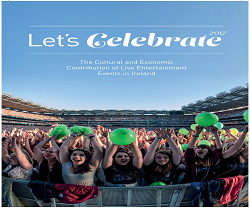 The Socio-Economic Contribution of Music to the Irish Economy highlights the considerable opportunities for Ireland’s vibrant music sector and sets out a number of recommendations to maximise the contribution of music in Ireland in the short, medium and long term. The report was launched by Minister for Arts, Heritage and the Gaeltacht Heather Humphreys TD and Irish singer-songwriters Brian Kennedy and Luan Parle. Greater support for musicians, many of whom are self-employed, in accessing finance and ensuring that fiscal supports are effective and appropriately structured. Tonight The Irish Music Rights Organisation (IMRO) will honour 6 songwriters and composers by inducting them into the IMRO Academy. 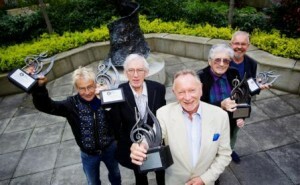 Paul Brady, Phil Coulter, Pete St. John, Ray Harman, Shay Healy and Jimmy MacCarthy will have their contribution to Irish music acknowledged at a ceremony in Dublin’s Conrad Hotel. 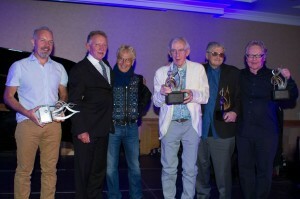 Of the awards Keith Donald, IMRO Chairman, states, “Once again the IMRO Academy is honouring songwriters and composers who are at the forefront of Ireland’s great tradition of creativity. It is a very important ingredient in fostering our reputation of being a dynamic and culturally rich nation. The IMRO Academy shines a light on these iconic music creators who continue to inspire, entertain and make sense of the world in which we live. “I am delighted to be part of this induction ceremony for some of Ireland’s most successful and revered composers and I welcome this talented expansion of the IMRO Academy” added Bill Whelan. ”The songs and music of these six Irish songwriters have sailed far beyond the shores of Ireland. They have touched hearts, engaged emotions, and brought joy to people everywhere. Recorded by some of the greatest artistes of our times, they have been heard – and sung along to – by millions of people. They have climbed the pop charts, rocked stadia and brought Eurovision victory to Ireland. On our TV screens they have had us at the edge of our seats and they have become anthems helping us to win many a football and rugby match! They have also given us moments of reflection, of spiritual understanding, of insight into ourselves. By reaching into their own hearts these six, gifted crafters of song have touched our hearts. Ireland and the world are the richer for what they have given us and tonight we, their fellow songwriters, salute and honour their gift… and its gifting” added Brendan Graham. The induction ceremony will coincide with the IMRO sponsored Independent Broadcasters of Ireland (IBI) annual conference dinner which takes place tonight, 29th April in the Conrad Hotel. Following the ceremony, all 6 will perform a selection of their iconic hit songs live. IMRO welcomes EU proposal for a directive on collective management of copyright and related rights and multi-territorial licensing of rights in musical works for online uses in the internal market. IMRO hosted the CISAC (the International Confederation of Societies of Authors and Composers) General Assembly in Dublin in June. It was at this gathering of international performing rights organisations that IMRO instigated and championed a change to CISAC Professional Rules regarding the frequency of distributions between international collection agencies. We are delighted that due to our actions a new policy has been established which requires all performing rights organisations to raise the frequency of royalty distributions between societies to a minimum of quarterly distributions. This is good news for music creators throughout the world.” states Victor Finn, IMRO, Chief Executive. Authors’ societies assist creators in managing and licensing their rights and in collecting and distributing their royalties fairly and efficiently. It is in creators’ interest that their works are widely available on every legal platform. Authors’ societies around the world have been licensing an increasing number of online music services and are constantly seeking solutions to allow them to issue multi-territorial licences for the use of global repertoire, while protecting the economic value of their rights. 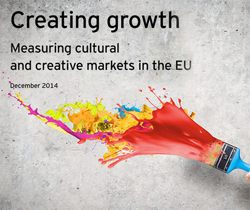 Europe, and especially Western Europe, is the most dynamic and efficient region in terms of collective management of copyright. Royalties collected by authors’ societies on behalf of creators for the use of their works in the region topped 4.6bn EUR (61% of worldwide collections). Distributions (incl. cable) paid in 2011 amounted to €37.7m. 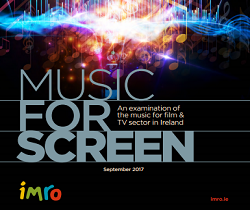 20th June 2012 – The Irish Music Rights Organisation (IMRO) has today reported that its total licensing revenue in 2011 amounted to €36.5 million, an anticipated decrease of 4% on the previous year, reflecting the continuing difficult economic trading environment for all licensees, most particularly in discretionary spending sectors such as pubs, hotels, restaurants and cinema. Broadcast and concert revenue however, remained stable, while overseas revenue increased substantially. The launch of IMRO’s secure member portal with enhanced facilities includes; the ability to access current repertoire details, register works directly online, view distribution statements, and also search and claim royalties. The launch of the new portal also eliminates the need for paper and allows members to interact with IMRO on a 24hr basis. This comprises royalties from RTÉ, TG4, independent commercial radio and TV broadcasters. Revenue from this industry sector, excluding cable, at €7.3m was in line with 2010.
remainder being distributed to IMRO members and affiliates. resulted in revenue falls. Concert revenue, however, remained stable. earned in the United Kingdom, a further 36% earned in other EU countries and 11% earned in the US. IMRO is a national organisation that administers the performing right in copyright music in Ireland on behalf of its members – who are songwriters, composers and music publishers – and on behalf of the songwriters, composers and music publishers of the international overseas societies that are affiliated to it. IMRO does not represent the interests of record labels. Their interests in Ireland are administered by Phonographic Performance Ireland (PPI) and their representative trade body is The Irish Recorded Music Association (IRMA). IMRO’s function is to collect and distribute royalties arising from the public performance of copyright works. IMRO is a not-for-profit organisation. Music users such as broadcasters, venues and businesses must pay for their use of copyright music by way of a blanket licence fee. IMRO collects these monies and distributes them to the songwriters, composers and music publishers who created the songs. The monies earned by copyright owners in this way are known as public performance royalties. 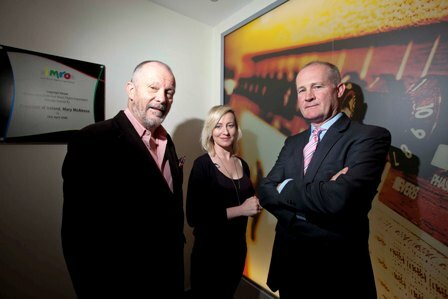 IMRO is also prominently involved in the sponsorship and promotion of music in Ireland. Every year it sponsors a large number of song contests, music festivals, seminars, workshops, research projects and showcase performances. 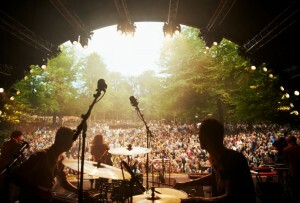 Indeed, IMRO is now synonymous with helping to showcase emerging talent in Ireland. International Confederation of Societies of Authors and Composers CISAC Meets in Dublin. 7th June 2012 – The urgent need to adapt copyright legislation to help safeguard the rights of owners of creative works was among the issues being discussed in Dublin today at a meeting of the General Assembly of the International Confederation of Societies of Authors and Composers (CISAC). Also top of the agenda was the review of theCISAC Professional Rules governing the 232 authors’ societies worldwide, as well as the development of a Global Repertoire Database (GRD) that would serve as a centralised, authoritative source of the metadata used to describe musical works. The Assembly, which is meeting inIreland for the second time, is being attended by approximately 150 creators and senior delegates representing three million creators from 232 authors’ societies, including music, film, visual arts and writers in 121 countries. CISAC members meet annually to discuss a variety of topics impacting on creators and collective management of their rights. The vast majority of the societies attending the Assembly are not-for-profit organisations set up by and governed by creators in various territories worldwide. The Irish Music Rights Organisation (IMRO) which administers the performing right in copyright music inIrelandon behalf songwriters, composers and music publishers is hosting this year’s event. 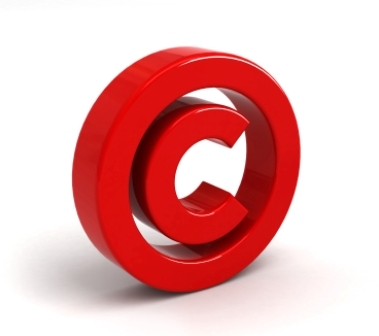 Advances in technology and in particular the growth of the internet over the past 10 to 15 years have resulted in enormous upheaval in the area of copyright. One of the consequences of this upheaval has been the difficulty experienced by creators in receiving a fair commercial return for the use of their work by others. In many territories existing copyright legislation has failed to keep pace with these changes while in other cases, changes to legislation have left creators even more vulnerable to exploitation. Kenth Muldin, CEO of STIM (Swedish Musical Society) and Chair of the CISAC Board of Directors said; “The entire creative community gathered today at CISAC General Assembly paid a moving tribute to its President Robin Gibb, who died just a couple weeks ago after fighting a long-term illness. We all missed his presence today. Robin has been our President and the voice of CISAC for the past five years and throughout this period we have been blessed by his presence and his infectious enthusiasm. He took his role very seriously – we knew we could count on him whenever the principles of authors’ rights were under attack”. Olivier Hinnewinkel, CISAC Director General, added: “Holding the CISAC General Assembly in Ireland today is the perfect timing as the Irish Government is currently reviewing copyright legislation here. Authors’ societies worldwide, and through their international umbrella organisation CISAC, are constantly improving the business and technical solutions to easily and efficiently provide access to the worldwide creative repertoire for all users. However, fair remuneration for the uses of creators’ works and effective copyright protection are necessary to foster the development of the creative economy”. Jimmy Deenihan, T.D. Minister for Arts, Heritage and the Gaeltacht, who addressed the Assembly said; ”The Government is strongly committed to reviewing and updating copyright legislation in order to strike the right balance between encouraging innovation and protecting creativity. The Copyright Review Committee, an independent committee established by my colleague Minister Bruton, is carrying out an extensive review of the current copyright legislative framework and has recently published a wide-ranging consultation paper on the issue. The Committee has invited further submissions from all affected or concerned by the issues raised in the Paper including information providers and ISPs, innovators, rights-holders, consumers and end-users. This consultation process is due to end on 29 June, 2012 so I would strongly encourage all interested parties to actively engage with the work of the Copyright Review Committee in the coming weeks”. Today’s meeting is the first coming together of CISAC member societies since the untimely death of CISAC President Robin Gibb on May 20, 2012. Mr Gibb had served as CISAC President since June 2007. Mr Gibb, who was part of one of the most successful songwriting teams in the history of pop music, was a passionate advocate of collective rights management and a proud President of the CISAC. He enthusiastically used his position as President of the organisation to persuade global policy makers to support creators and promote and uphold the value of copyright. French visual artist Hervé di Rosa, Vice-President of CISAC since June 2010, will serve as President of CISAC until the end of the mandate in June 2013. CISAC– the International Confederation of Societies of Authors and Composers – is the leading worldwide network of collective management societies protecting and promoting the interests of creators and rights holders. 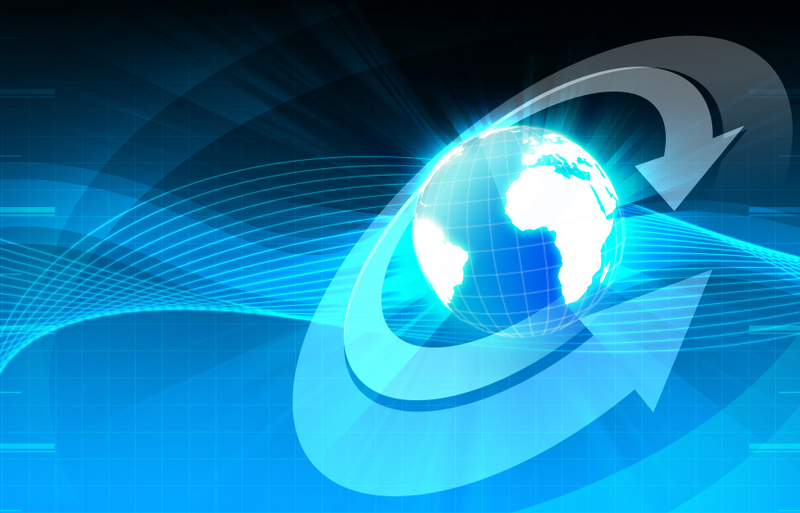 In a globalised and digital world, CISAC’s main missions are to provide highest business standards to protect creators’ rights, to reinforce the international network of authors’ societies, to be their spokesperson in all international debates and to reassert creators’ inalienable right to live by their creative work. With 232 authors’ societies from 121 countries as its members, CISAC indirectly represents around 3 million creators and publishers of artistic works in all genres including music, drama, literature, audiovisual, photography and the visual arts. As an international organisation, CISAC’s fundamental role is to enable authors’ societies to seamlessly represent creators across the globe and, in particular, to assist them in ensuring that royalties flow to authors for the use of their works anywhere in the world. In 2010, the royalties collected by CISAC’s member societies in their respective national territories topped 7.5bn EUR. Founded in 1926, CISAC is a non-governmental, not-for-profit organisation with worldwide headquarters inFrance and regional offices in Chile, Hungary, Singapore and South Africa. The headquarters of the Irish Music Rights Organisation (IMRO) was packed to capacity last night (Tuesday 28th February) for the IMRO Live Music Venue of the Year Awards 2011. 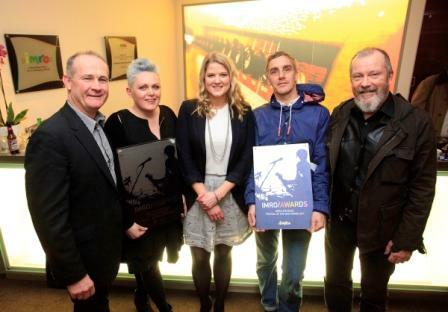 Cork Opera House CEO Mary Hickson was on hand to accept the premier accolade of IMRO National Live Music Venue of the Year, which was presented by IMRO Chairman and legendary Moving Hearts man Keith Donald and IMRO CEO Victor Finn. Electric Picnic took home the Irish Festival of the Year Award. RTÉ’s Jenny Huston hosted the evening, which celebrates the live music community in Ireland, the behind the scenes people in venues up and down the country, from owners to bookers, front of house staff to sound and lighting engineers. IMRO Regional Venue of the Year Awards were presented with The Grand Social in Dublin winning the Dublin Live Music Venue of the Year Award; the Connacht Award went to the Róisín Dubh in Galway; Cork’s Cyprus Avenue won the Munster Live Music Venue of the Year Award; the Mermaid Arts Centre in Wicklow was awarded the Leinster (excluding Dublin) Award, while Voodoo in Letterkenny, Co. Donegal took home the Ulster Live Music Venue of the Year Award. In addition, Hot Press Editor Niall Stokes presented Hot Press Readers Awards to the O2, Dublin, The Academy, Dublin and the Róisín Dubh, Galway. Of the awards, Victor Finn, CEO of IMRO said: “The contribution that live music venues and festivals make to local economies is often not recognised and their value in a social and cultural sense within communities is priceless. We are delighted to recognise the contribution that these first class facilities make and to celebrate their achievements”. 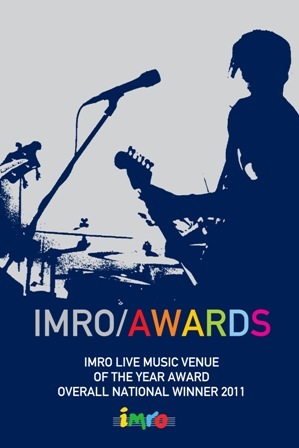 The Irish Music Rights Organisation (IMRO) is delighted to announce the fourth IMRO Live Music Venue of the Year Awards will take place on Tuesday February 28th, 2012 at IMRO Buildings in Dublin. The annual Awards celebrate the dedication and passion of those who work in Ireland’s live music venu es, who provide the public with an exceptional live music experience week in, week out. Hundreds of venues across the country were considered for the Awards shortlist by more than 8,000 IMRO members. Venues were judged on their commitment to providing the core elements that make for a great live music venue – atmosphere, sound and lighting, staging, diversity of programming and most importantly, the staff and management at each venue. IMRO members also voted on Ireland’s music festivals, delivering a shortlist of ten festivals in the final tally. 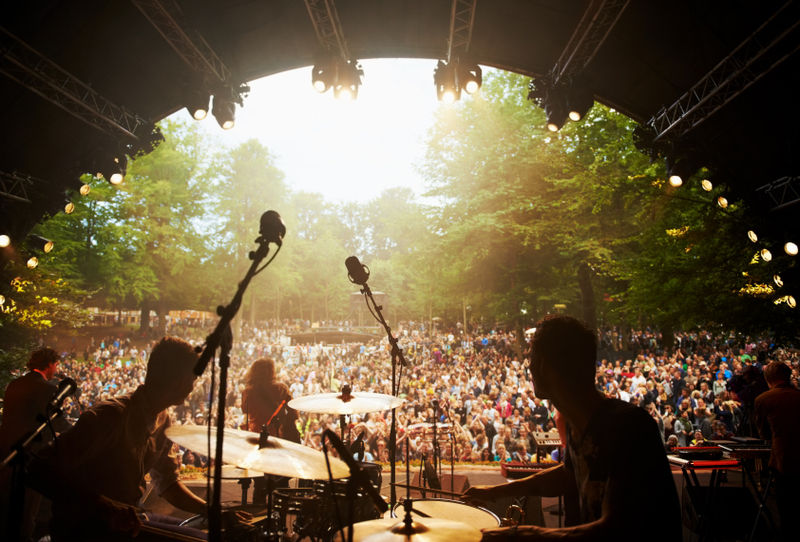 Live music venues and festivals play a pivotal role in the music industry in Ireland, giving international and home-grown artists a platform to engage with fans and build new audiences. They also play a central role in urban and rural communities across the country, providing a social gathering place for audiences of all ages and musical tastes and contributing hugely to the domestic economy. Of the Awards announcement, Victor Finn CEO of IMRO said: “An extensive and vibrant venue network is the lifeblood of any strong live music sector. These awards acknowledge and applaud those venues and festivals throughout Ireland that excel in creating a memorable and exhilarating environment for music fans and performers alike”. At the ceremony in IMRO HQ in Dublin on February 28th, awards will be presented to the leading live music venue in each of the following regions: Dublin, Leinster (excluding Dublin), Connacht, Munster and Ulster (covering Donegal, Monaghan and Cavan). The IMRO Music Festival of the Year Award will also be presented. One overall award will be presented for the IMRO National Live Music Venue of the Year. This Award is decided upon by the public, who vote for their live music venue of the year from the combined shortlist of all regions. Live music fans should simply log on to www.surveymonkey.com/s/venueawards and choose their favourite from the shortlist provided by Sunday February 19th. One lucky participant will win an iPod Touch. IMRO are now delighted to announce the venues that have been shortlisted in this year’s IMRO Live Music Venue of the Year Awards. 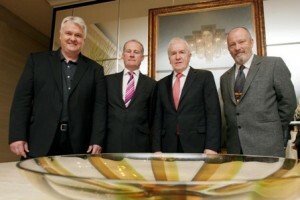 Dublin – 17th January, 2012 – The Irish Music Rights Organisation, (IMRO), today announces it has agreed to licence its Music Rights Royalty Distribution System to the Canadian Musical Reproduction Rights Agency, (CMRRA). CMRRA is a music licensing agency, which represents the vast majority of music copyright owners (music publishers) doing business in Cana da. On their behalf, CMRRA issues licenses to users of the reproduction right in copyrighted music. Licensees pay royalties pursuant to these licenses to CMRRA and, in turn, CMRRA distributes the proceeds to its publisher clients. CMRRA is based in Toronto and has approximately 100 fulltime staff. Having carried out a competitive tender process for the replacement of its current systems CMRRA selected the IMRO system. The IMRO system was proposed by Spanish Point Technologies who will use it as the basis to deliver the new system for CMRRA. The innovative design and the successful implementation of the IMRO system was recognised by Microsoft when it awarded Spanish Point the Worldwide Partner of the Year Award. The solution has achieved significant cost reductions for IMRO while at the same time handling an increase in data volumes. This is also a key objective for CMRRA. “CMRRA is a sister copyright distribution agency and we are delighted that they have selected the IMRO system to replace their legacy system. Built on a modern Microsoft platform it is capable of scaling to handle very large amounts of data The thousands of man hours of design, development and testing effort which our team and our implementation partners put into the system will ensure CMRRA have a great platform on which to deliver a best in class service to its publishing members. “. Says Declan Rudden, Director of I.T. and Distribution at IMRO. Spanish Point Technologies is an innovative software company working with Microsoft technologies to provide business systems which remove complexity, increase productivity and connect users to critical business information. They employ technologies such as SharePoint, Microsoft Office, BizTalk, SQL Server and their own LookupPoint™ to build great solutions. Headquartered in Dublin Ireland, Spanish Point provides consulting and solution build services on Microsoft’s core information worker and related technologies. Their innovative LookupPoint technology displays line of business information directly in Microsoft Office and is a great example of the power of the Microsoft Office platform and Spanish Point’s design and software development skills. Bill Whelan, best known as the composer of Riverdance and Brendan Graham the co-author of the hugely successful song, ‘You Raise Me Up’ became the first inductees to the new IMRO Academy which was launched by the Irish Music Rights Organisation (IMRO) this week. The IMRO Academy’s mission is to celebrate and mark the successes of Ireland’s iconic songwriters and composers who have made a very significant cultural and social impact in Ireland and/or internationally. Two IMRO members will be inducted into the Academy each year. The induction ceremony coincided with the IMRO sponsored Independent Broadcasters of Ireland (IBI) annual conference dinner which took place in Dublin on Monday evening. Following the ceremony, Brendan and Bill presented a very special world premiere performance of their new composition, ‘The High Line’, written together in New York recently. In addition, there were guest performances of songs/compositions from the extensive catalogues of both music creators. Among those who performed were Brian Kennedy, Secret Garden, Zoe Conway, The Discovery Gospel Choir, Morgan Crowley, Bill Whelan, An Ceolfhoireann na hÉireann (conducted by David Brophy), Charlie McGettigan, Paul Harrington, Mick Donegan and Mick O’Brien. IMRO/MCPSI and YouTube announced that they have signed a licence agreement that covers music included in videos streamed in Ireland via the online video platform. The licence covers the period until the end of 2012. As a result of the agreement the songwriters, composers and music publisher members that IMRO/MCPSI represents will be rewarded when their music is used. “In the digital sphere where there have been few boundaries in the widespread distribution of music content in recent years the essential role that music creators provide in the value chain together with their underlying rights are important factors that have been very often overlooked and undervalued. IMRO/MCPSI is pleased to have signed this agreement with YouTube as it ensures that music creators rights are protected and that end users will continue to have access to the plethora of music content available on the YouTube service here in Ireland. We are happy to work in partnership with YouTube to ensure that the music creators that we represent continue to benefit from this successful online service”. Victor Finn, Chief Executive IMRO. Donagh O’Malley, YouTube said: “We’ve been working hard to forge relationships that allow YouTube users to enjoy their favourite songs and discover new music on the site. We are extremely pleased to have reached an agreement with IMRO/MCPSI to help their members earn revenue and to enable new musical talents to emerge”. IMRO is a national organisation that administers the performing right in copyright music in Ireland on behalf of its members – who are songwriters, composers and music publishers – and on behalf of the songwriters, composers and music publishers of the international overseas societies that are affiliated to it. IMRO does not represent the interests of record labels. Their intestests in Ireland are administered by The Irish Recorded Music Association (IRMA) and and Phonographic Performance Ireland (PPI). IMRO’s function is to collect and distribute royalties arising from the public performance of copyright works. IMRO is a not-for-profit organisation. Mechanical Copyright Protection Society Ireland Limited (MCPSI) is an organisation which represents thousands of composers and publishers of music. By way of agency agreement with MCPS and through their reciprocal agreements with other organisations around the world, MCPSI also represents the interests of many thousands of other music copyright owners in other countries. MCPSI licenses companies and individuals who record musical works and collects and distributes the royalties payable under those licences. This service is available to anybody who wants to use recorded music including record companies, independent production companies, mobile and online companies and many others. MCPSI also licenses the importation of recordings from outside of the EU. On YouTube, aspiring musicians shoot to recognition and record deals via home videos broadcast globally; politicians connect with voters, people learn how to cook, educators share e-learning videos and content partners of all kinds reach an even greater audience in support of their promotional and commercial objectives.